The annual SPAR Madibaz netball tournament held at the south campus in Port Elizabeth over the weekend showed the event has continued to grow in popularity with a record 80 teams attending this year. The two-day tournament at Nelson Mandela University accommodates women's and men's teams, providing a perfect chance for players in the Eastern Cape to gauge their strength at this early stage of the season. 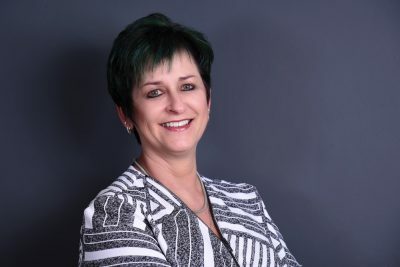 Madibaz Sport netball manager Melinda Goosen said the opportunity for some teams to play indoors and the activities created around the event had contributed to its increasing popularity. 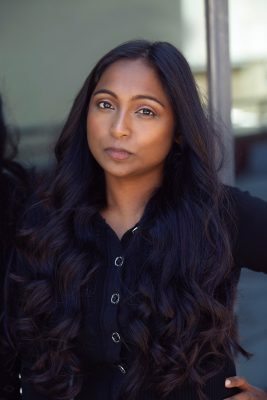 "Word of mouth of each year's success makes new teams want to join and experience our Madibaz magic," she said. "This year we drew 800 players to the tournament, playing in various sections, and this created a wonderful vibe around the whole occasion." She added that the growth of the event was an indication of the hunger in the Eastern Cape community for the sport. "Firstly, it gives coaches the opportunity to test their teams' abilities as they prepare for upcoming leagues. 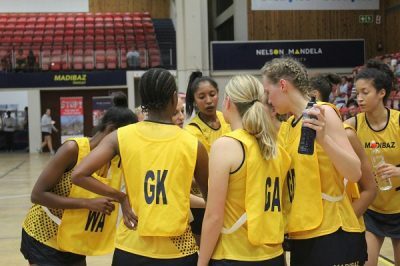 "Secondly, those attending, especially schools players, get an idea of what it is to be part of the Madibaz netball set-up, providing them with an incentive to join us when they leave school." 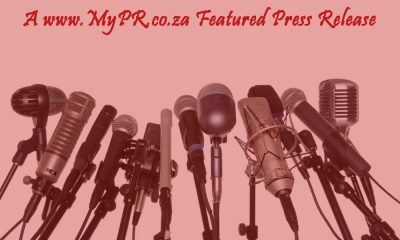 Goosen said it was a chance to demonstrate the talent available in the Eastern Cape. "It is great to see them come out to play the game that we love. 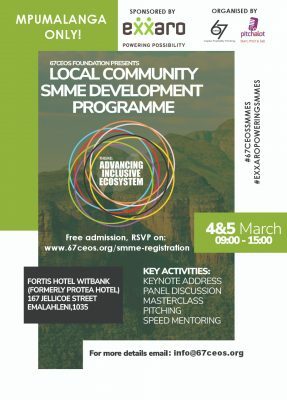 "With the support of our loyal sponsors in SPAR Eastern Cape, we are able to put an event together where there is great exposure for a wide range of players and two fun-filled days for the whole family. "Our product sponsors for the event, Twizza and Noorsveld Chickens, ensured that the thirsts got quenched and the tummies were full." The tournament underlined the strength of netball at Madibaz, with their teams winning most of the sections. The only sections university teams did not win were the B and men's divisions, in which they did . . . 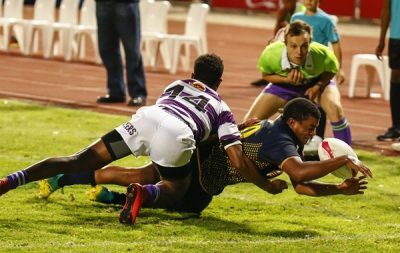 The FNB Madibaz rugby team are gearing up for what will be their toughest fixture to date when they tackle University of KwaZulu-Natal in the FNB Varsity Shield in Maritzburg on Monday (6.30pm). The sides are the only unbeaten teams in the competition. The Nelson Mandela University outfit top the log with 15 points from three games. UKZN also have maximum points (10), but have played only two matches and have been impressive in putting 50 points past both Rhodes and Tshwane University of Technology. Interestingly, Madibaz also scored more than 50 points against Rhodes (53-8) and coach Jarryd Buys says they face a big challenge in Maritzburg. "Unlike some of the other teams we have played I believe UKZN will be a lot more structured in their approach," he said. "It's probably fairly similar to the way we play, so we will have to be on the mark in all facets of the game. "I am sure they have a couple of players from the Sharks Academy in their ranks and they will definitely be a big test for us." The Madibaz mentor added that he was pleased with their maximum haul of points, but said they were fully aware they still had much to do. "Nobody in this team is under any illusions about what lies ahead. We have been relegated from the Varsity Cup so we haven't accomplished anything yet. "Everyone knows that and I am a big believer in the fact that you play with confidence but you never underestimate any of the opposition. Because that's when you start slipping up." Nonetheless, Buys was satisfied that the hard labour they had put in during the pre-season training was starting to bear fruit. "We have spent a lot of time on certain aspects and the guys are starting to get their communication right," he said. "This came through in the game against Rhodes where we used a lot of younger players. Admittedly there were mistakes but you can expect that from people making their debuts. 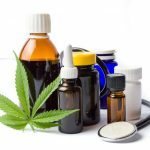 "In general, however, it was a big positive that we could . . . In an event slightly more compact than usual, SPAR Eastern Cape were still able to make a significant contribution to supporting the environment when they hosted their annual Charity Golf Day in Port Elizabeth last week. The event took place at the Humewood Golf Course on Thursday and the focus was on the natural environment, with SANCCOB (SA Foundation for the Conservation of Coastal Birds) and Bayworld this year's beneficiaries. 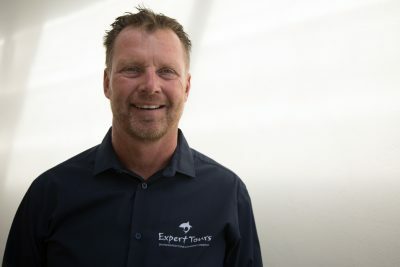 Both organisations are involved in the protection of the world's natural resources through the rehabilitation of marine life, tying in with SPAR EC's vision to reduce the use of plastic in society. 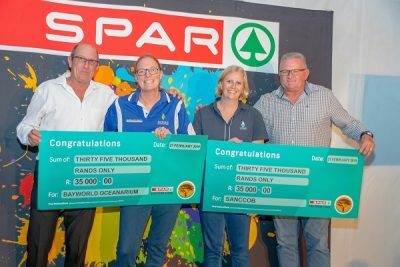 When the final putt had been sunk on Thursday, SPAR EC were able to make a donation of R35 000 to each organisation, a contribution which will go a long way towards helping them achieve their goals. SPAR EC sponsorships and events manager Alan Stapleton welcomed all the golfers, suppliers and retailers to the day, but reminded them that it was all about supporting a good cause. "We certainly hope you enjoyed yourself in great weather on a magnificent course, but this day is really about the beneficiaries," he said. "It's a chance to generate funds for people who go out selflessly working for the benefit of the environment, our animals and our natural resources. "Both SANCCOB and Bayworld do an amazing job looking after our marine life and this goes hand in hand with our Stop Plastic campaign [launched in April last year]." In the initial phase of the campaign, Stapleton said SPAR EC had sold 3-million fewer plastic bags, which was an excellent start. "But we need to continue raising awareness about the dangers of single-use plastic in society and we would like all our suppliers and competitors to get on board. "It is not just about what SPAR EC can do, but what we all can do together - the retailers, suppliers and our competitors. "We would like to create a wave of measures limiting the use of plastic and I . . .
As we rush head-first into 2019, how are those New Years resolutions holding up? Now that the infamous ‘Janu-worry’ has come to an end, it’s a good time to re-evaluate your financial goals and set yourself up for financial success in 2019. Having a detailed, clear set of goals against which to measure your progress can help you focus on saving and avoid falling back into old habits of unnecessary spending. To help you along the way, here are 10 top tips for managing your money better in 2019: 1. Create a new monthly budget It’s important to re-assess your budget regularly to account for changes in your income and expenses. Use your transaction history to identify where you may be overspending, and try to ‘trim the fat’ where possible. If you have surplus money after minusing your expenses from your income, try to allocate a portion to saving rather than increasing your lifestyle spending. 2. Use your budget! Make a commitment to sticking to your budget allocations. Keep track of your income and expenses to make sure that you’re not over-spending. 3. There’s an app for that… These days, there are a number of apps that help you keep track of your expenditure. Some require manual inputs, but many link with your bank account and track and categorise your transactions for you. 4. Pay back the money As you create your monthly budget, allocate funds to paying back your debts (especially short-term debt) as soon as possible. This will reduce the amount of interest you end up paying, resulting in significant savings over time. There are different ways of tackling your debt, so prioritise your payments according to your unique circumstances. If you feel overwhelmed by your debt, consider using the services of a debt counsellor. 5. Price-check your short-term insurance products Comparing insurance quotes or negotiating with your existing provider can help you save on your short-term insurance. There are a number of factors that could . 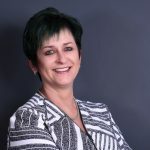 . .
Johannesburg, 21 February 2019 - World Information Architecture Day began in 2012 to celebrate the anniversary of the 1998 publication of Information Architecture for the World Wide Web—also known as “The Polar Bear Book,” and the bible for UX professionals. Now in its eight year, World IA Day has grown to 59 cities around the world, including Warsaw, Tehran, Johannesburg and Buenos Aires. World Information Architecture Day is dedicated to the empowerment of local leaders. The celebrations inspire the global growth of information architecture as a community of practice and encourages the diverse thinkers in the celebrations. World IA Day is jointly produced by a network of global, regional, and local volunteers with support from the Information Architecture Institute. “World IA Day brings local professionals together to learn through high-quality speakers, panels, and interactive sessions that examine the many ways IA principles can be used to solve problems in business, civic, and personal contexts,” says Mike Lewis founder of Origin Interactive. This year's theme is Design for Difference: As designers, we are responsible for creating worlds of experiences, environments, services, and systems that impact millions of people – with lasting impacts. While we don’t have a Hippocratic Oath, it’s important for us to follow a similar goal to “do good” and “do not harm.” It is our responsibility as IAs to consider the consequences and impact our design decisions have on humanity and society as a whole. Research is a foundational step in the design process. It ensures that we understand and account for diverse user needs within communities, both in our own domains and globally. Mike encourages and values independent thinking in his team members and this is why the full team from Origin will be attending World IA Day at the UJ campus. According to Mike some of the main questions he will be looking for answers to are “What is this difference that we’re . . .